Allie + Mike have a love that is sweeter than listening to The Avett Brothers' "Swept Away (Sentimental Version)" on a warm Summer night under the stars. Their love is dancing to this ballad in their living room, surrounded by family + very close friends, their dog Avett, and an outpouring of warmth on a chilly October night. 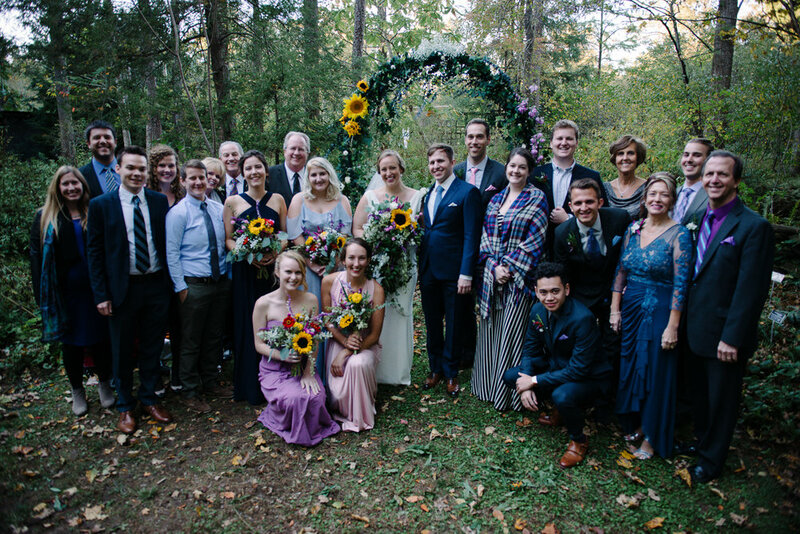 These two, together since high school, had the sweetest, most intimate wedding at the North Carolina Botanical Gardens followed by a classy dinner party in their living room. Yes, their living room! I first met Allie while on assignment for a campus magazine at UNC. She then showed up on staff at the Daily Tar Heel and quickly moved to become an editor. We even ended up in the same program in journalism school. And of course, with all these things we had in common, Mike came along to event after event always supporting Allie. He's always had this look of pure affection for Allie and that was evident back in our college days. On their wedding day, that look of pure bliss and love for her was greater than ever. Allie had a vision for her wedding photography: storytelling + unprompted with hints of fine art film shots. 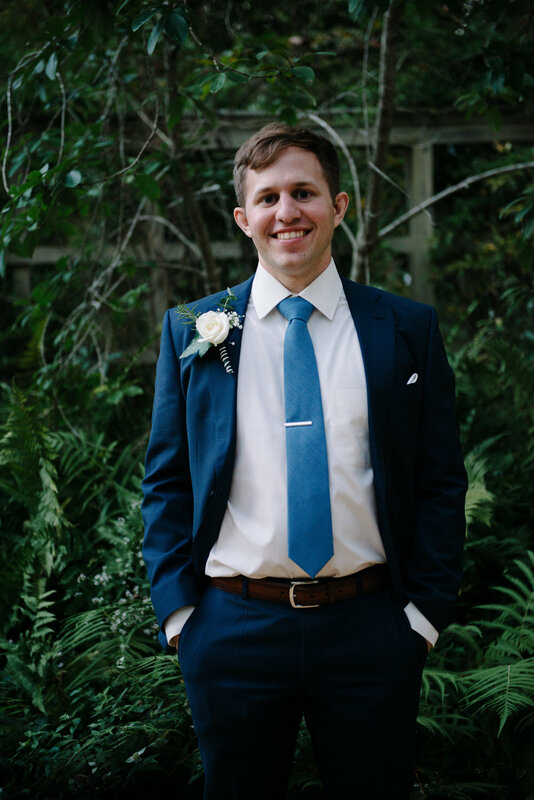 It was a very easy job because the enitre wedding was classic, elegant, seasonal, and full of personal touches from Allie + Mike. But better yet, their love was wrapped around every detail of their day, including the way they adoringly gazed at each other. These two cooked the meals served at their dinner party and created wine pairings for each course, they made each plate their guests dined on, and made sure to have photos with each of their guests on polaroid film. Allie + Mike, that you for letting me photograph your wedding day and the love you two share for each other. I wish you all the marital bliss in the world, set to a never-ending playlist of the Avett Brothers. 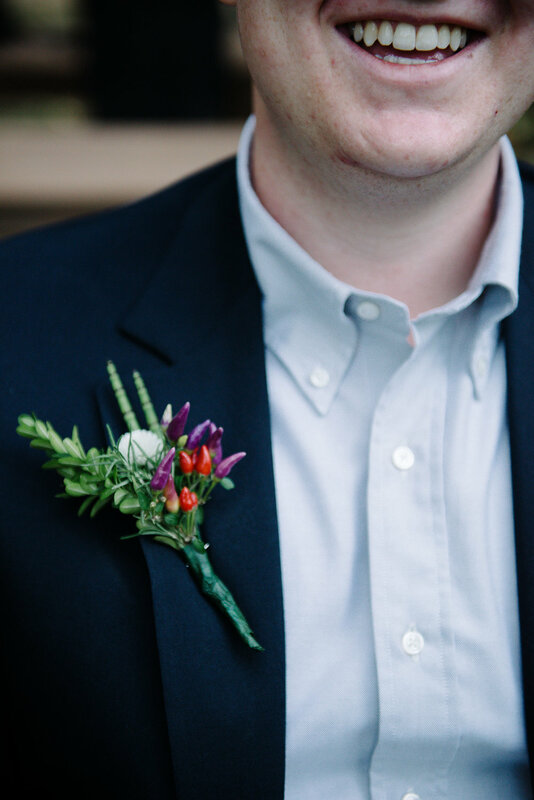 rachel + colin | wedding | chapel hill, n.c. It's been a while, too long, actually, since I've blogged. From moving from Chapel Hill to Dallas, traveling here, there, + everywhere, and finally getting used to this sweltering concrete jungle, it was time I took you back to the MOST. BEAUTIFUL. SPRING. DAY. EVER. As mottled light danced around the ceremony, a cool April breeze caught Rachel's veil. Her brothers gracefully led their little sister down the aisle of this simple + romantic garden wedding, while tears delicately flowed from her groom's eyes. As prayers were said, followed by "I do's," Colin whisked Rachel into his arms for their first kiss as man + wife. Both fellow Tar Heels, I was beyond blessed when Rachel reached out to me to photograph their wedding. Who could pass up this beautiful, laid back, brunch-loving couple who's hearts are bigger than the night sky? We first met for their engagement session the summer before their wedding at Jordan Lake + Merritt's Pasture. I was instantly blown away by the sweet, loving way Colin looked as his future bride. That look, so warm + endearing, only grew stronger as their wedding day approached. On April 23rd, the love between Rachel + Colin was (and still is!) so strong, it embraced everyone, bringing all the guests to tears. It truly is a phenomenal moment when a couple's love is so strong it envelopes everyone on a wedding day. Their wedding was as fresh + simple as a spring day in Chapel Hill. Rachel + Colin didn't need extravagant decorations to express who they are or how much they love each other because, believe me, their love seeped into every person + soul present. Their families + friends traveled from near + far to bless them with their graces through their ceremony, their super delicious + fun brunch reception which included some intense games of corn hole and bubble popping, as well as a short-lived April shower. They say rain on your wedding day is good luck! This bride + groom's caring hearts made sure that everyone had a memorable, beautiful day before they took off in a dried lavender "toss" (maybe douse is the correct word?) exit. Rachel + Colin, I am honored to call you friends, but I am more honored that you gave me the opportunity to photograph your love. It is inspirational, fulfilling, and I could not be more happier for the both of you. I wish the Doctor, Mrs., and Brody all the best on y'all's journey together as man + wife (and dog!)! Caterer + Bartender: Acme Food & Beverage Co.
katya + garrett | engagement | chapel hill, n.c.
Katya + Garrett are engaged, y'all! I met these two at the verrrrrryyyy beginning of dental school many moons ago (thank goodness it's almost over)! Katya is one of Jerry's classmates and Garrett tagged along to all the events like I did. After all these dental school years of Katya saying she wanted me to be her photographer whenever they got engaged, her dream finally came true! 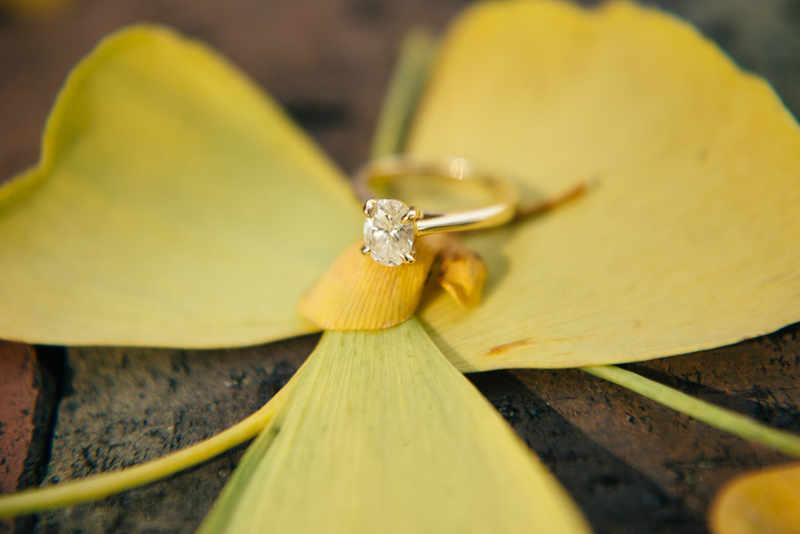 A few days after their engagement, Katya asked if I could, and of course I said yes. 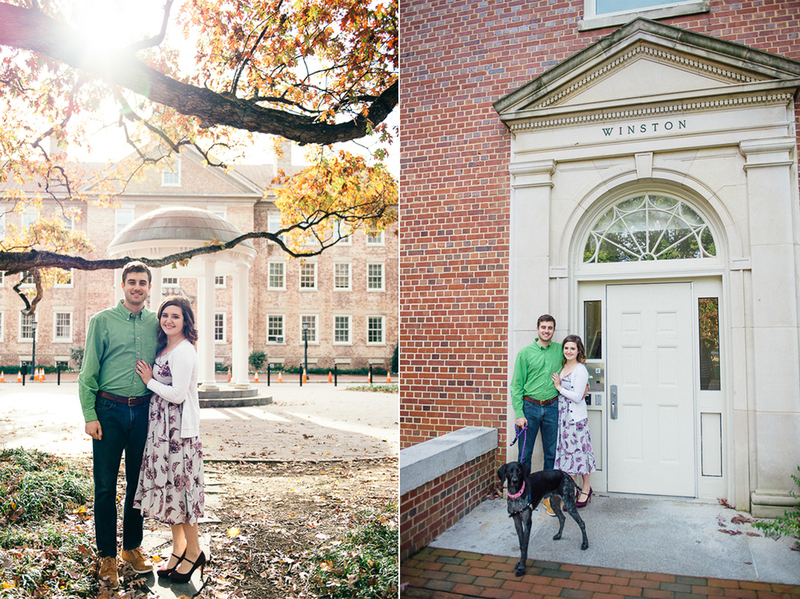 We started planning out her + Garrett's engagement session and figured it needed to be all things Chapel Hill because this is where their story began. These two lovebirds met at a UNC party where Garrett was instantly charmed by Katya's intelligence + quirky sense of humor. Their first date: Bojangles (best date spot ever in my opinion)! They lived in the same dorm community + after a few dates, they knew they were for each other. Garrett + Katya snuck into Kenan Stadium where he officially asked her to be his "babe." Six years later, while crossing the greenway bridge on their way to a football tailgating party, Garrett pointed out a lock that coincidentally had "K" and "G" written on it + a little note that was attached to the lock. As Katya read the sweet note, Garrett dropped to a knee and proposed! These two are absolutely hilarious + goofy and love each other more than they love Carolina Basketball. They love their dog Sully + her bad case of FOMO, and even though she wasn't a fan of wearing a sign, she was a great sport. We started their engagement session in Merritt's Pasture with a Bojangles breakfast picnic. We then headed to their favorite spots around campus + Franklin Street. Photographing them fresh after their engagement was wonderful because it is such new thing + they were giddy like school kids. I'm so lucky to photograph their love + their soon-to-be awesome wedding full of Cajuns + Vodka shots next fall!